With more and more people turning to smartphone devices for communication and information, it has become very important for service providers to create web pages that can load four times faster with very few simple steps. But at times it is observed that publishers often lose a reader and the revenues through online ads or subscriptions simply because their pages took too long to load. And slower sites typically mean higher bounce rates, lower conversion rates and low web performance. Google’s Accelerated Mobile Pages (AMP) is an open source initiative that enables the publisher to create mobile optimized web content that promote speed and ease of use for the content readers while maintaining the integrity of the content that the publisher wants to feature. It is an attempt from Google to patch the mobile web that actually suffers from speed and UX issues. If the mobile web is slow for user’s expectations, then it cannot compete with the native apps. AMP attempts to fix this issue by accelerating the load speed for pages making them 15 to 85% faster than non-AMP version of that page. So it is a good choice for webmasters to optimize the experience of mobile browsing by standardizing the mobile version of their site with AMP. Mobile friendliness is a great factor in search rankings and website that pass this test appear higher in the search result pages of Google. So accelerated mobile pages that are specifically designed to load fast and offer a great UX on mobile is a serious factor for enhancing the search ranking. Slow websites often make 40% users leave the site if it takes more than seconds to load. Faster loading pages are often everyone’s interest and Google’s AMP helps to increase the loading speed and these results in more page views. This often leads to more ad views resulting in less use of ad blockers by visitors. The biggest benefit of using AMP is that the web pages will get an SEO boost as these pages will show on the Google News Carousel. Google has started to support AMPs and this has helped to gain traffic to the pages from organic search. Sites that pass the mobile friendly test of Google will appear higher in the search results and get a boost in the ranking. As more and more companies publish content on their site, it is important to be on the AMP network. The high loading speed of the pages will make the readers stay on the pages for longer and it will also help to reduce the bounce rates. Though this may not be the most important SEO ranking factor, a low bounce rate often helps to validate to the major search engines that the pages offer everything relevant and that the audience will find them informative and helpful. Thus, to conclude we can say that AMP requires adoption of existing content and SEO tactics as its effects depend much on the amount of content that is generated and the platforms on which the content is published and distributed. 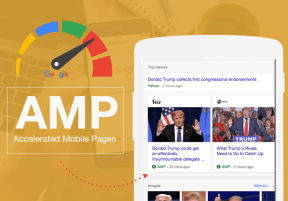 AMP will definitely become a vital thing for everyone who publishes content and speed and mobile friendliness becoming important factors for gaining a higher ranking in the SERPs.